Yesterday I spent some time picking all the apples off our tree, and picking up the fallen apples off the ground. Seemed like it was time to harvest! 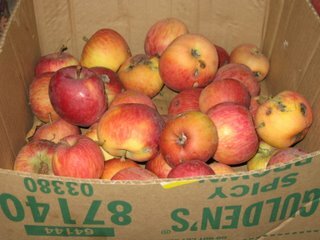 So, I threw out all the beyond-hope apples, and kept a big bundle of salvagable apples. This morning I peeled them and cut out the cores and all the wormy bits, to make applesauce. We have the most delicious apples. I don't know what kind they are, because the previous owners of our house planted the tree. But they are great fresh, they are great in pies, and they make delicious applesauce. Here is the whole bucket of apples... it took a LONG time to get them all peeled and cored. Here are the three jars of applesauce that all those apples made! I thought I would end up with more than that, but I'm not complaining. 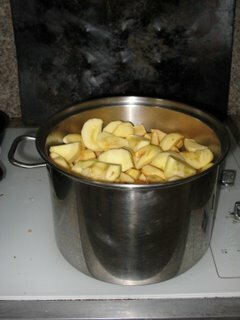 :) I used all those apples, about 1/4 t cinnamon, about 3 T maple sugar, and a little bit of water. It is so delicious. Here are all the apples I still have left! This box was overflowing when I started... at least I made a dent! 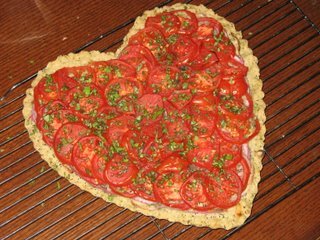 For dinner tonight I made "Fresh Tomato & Onion Tart with Garlic-Basil Crust" from Donna Klein's new book "Vegan Italiano" and the "White Bean and Roasted Garlic Soup" from VwaV. It was a nice combo. The topping on the tart was fantastic, but I wasn't so crazy about the crust. I cut the fat, but it was still too heavy and fatty for my tastes. I'll have to see if I can do anything with it. I love my special heart-shaped tart pan. The soup is really nice, although next time I think I'll reduce the salt a little bit. I like the roasted garlic flavor. By the way, I made this tart as part of my prep for an upcoming Pie Contest. My friends Scott and Nyrene hold a really great pie contest party ever fall & it is such a blast. They also have great prizes! Two years ago I won the coveted "best overall" prize with a VEGAN PIE! Last year my best friend won with a veggie pie... Each person is allowed to enter one sweet pie and one savory pie. All the elements must be homemade (no storebought crust). So, I am on the hunt for the best vegan pie recipes I can find... Any Suggestions??!! I'd love to hear them! I'd love to know what your pie was that won the best overall prize. Too bad you missed my t'art contest a few months ago. That tart coulda' been a contend-ah. I couldn't take my eyes off that tomato tart- not only does it combine some of my all-time favorite flavors, it is a feast for the eyes as well! I wish you good luck in the contest, but it doesn't look like you'll need it. 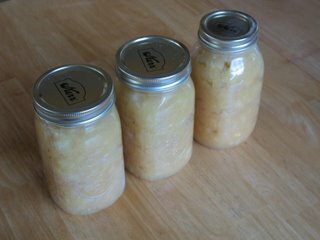 I love home made apple sauce. All the work you did to can that will pay off someday when it's handy and you don't have to peel and core! Lol! The tart is amazing. It's truly a work of art!! The pie that won a couple of years ago was a recipe that I got from a magazine called "Rustic Apple Pear Galette with Currants and Tangerine Zest". It was pretty spectacular, and has actually become the only pie anyone in my family wants for the holidays. 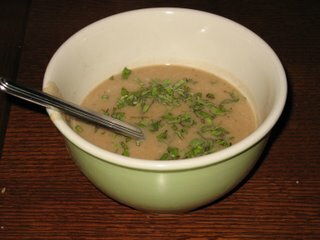 I'll try to dig up the recipe and transcribe it so that you all can share its glory. I know, I remember your fabulous t'art contest... and I loved it! I don't remember what I was up to back then, but I must have been pretty busy - because I do love baking tarts! I was pretty happy to still find some dry-farmed tomatoes at the farmer's market last week... but I'm not sure how long this can go on! However, I'd be surprised if there wasn't still plenty of time to get some good apples... Seems to me like apple season is just beginning. My favorite variety is the Mutsu, which I have become quite loyal to. Yeah, I love homemade applesauce too. It's so nice when you go looking in the cupboard for a nice healthy treat, and you find a big jar of homemade applesauce! Thanks everyone for the positive tart feedback! Ooh, that tart is beautiful! I wish my food looked that good! Jen, your comment about making apple butter made me laugh. I think I'll stick to apple sauce. 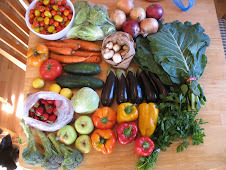 I'd be disappointed to put in all that peeling and chopping and cooking and end up with one little jar of apple butter! Thanks so much for the pie recommendations! I've got my eye on that gingerbread apple pie, and also on her cranberry pear tart. Hmmm. Also, I think I'll investigate that book by Bryanna, it's not one that I've got. Thanks!